Being mobile is all about movement. It's going from one place to another, like from a suburb of Detroit to a mission site in Guatemala. Or it can be going from one level to the next, like going from amateur to pro. Or even, moving from a position of taking, to one of serving. This has been my journey, and I'd love to help you with yours. My goal is to meet you where you are, equip you with the best tools and training available, and to inspire and guide you to where you want to go next. We are at the dawn of a mobile revolution, and the possibilities are endless. So tell me…Where do you want to go? Welcome to TheMobilePro.net. This site is dedicated to equipping the professional entrepreneur or solopreneur to go mobile, and to help the amateur or wantapreneur to go pro. I'm passionate about teaching entrepreneurs how to create pro-quality content, and manage their business with tools, training, and inspiration that will fit in a backpack. This site is not filled with lofty ideas and dreams, but with battle-tested, practical tools, training, and strategies to help you find the fastest, easiest path to Mobile Freedom. Set up a pro-quality, mobile sound system for events and trade shows who's quality will blow you away, yet fits in the boot of a MINI Cooper. You can even take as checked luggage when you fly. Really. Start Today. Get The Mobile Pro News. But I am not alone. I have partnered with some of the best tech companies, and most successful online Platform experts on the planet. Each week I will curate their knowledge, experience, and products to bring them to you, right here, so you too can be a successful Mobilepreneur. To get all of The Mobile Pro updates delivered strait to your in-box, you can sign my mailing list. My name is Shawn Smith (a.k.a. The Mobile Pro) I'm the author of the ground-breaking e-book and step-by-step video training course, 5 Ways to Record Podcast Interviews with an iPhone. I'm passionate about equipping, training, and inspiring entrepreneurs to create content, and manage their business from anywhere in the world. This is the purpose and goal of my work here. Since 1994, I've flown over 800,000 miles as a performing songwriter, keynote speaker, missionary, and Mobile Technology Expert at TheMobilePro.net. I’ve run several successful businesses from a backpack, with a MacBook and iPhone. Since 2006, my wife and I have also hosted over 1,200 missionaries on our annual mission trip to Guatemala. We serve children and their families living in extreme poverty. The name of our mission is called, “Now Is the Time” - because there’s never a good time to go and serve. Our mission work has driven my desire to create a location-independant business, and lifestyle, and to show others how to do the same. We spend an average of 3 months/year in Guatemala prepping and leading our teams. We are all volunteers, including us, the organizers, and we all raise our own financial support for the privilege to love and serve our dear friends. It’s a ton of work, but really satisfying. This is also where I discovered and mastered mobile podcasting - recording nightly podcast interviews with our mission team members to share what’s happening in the mission field for family members, and supporters back home. It took me 4 yrs, and thousands of dollars worth of equipment until I finally cracked the code how to do. 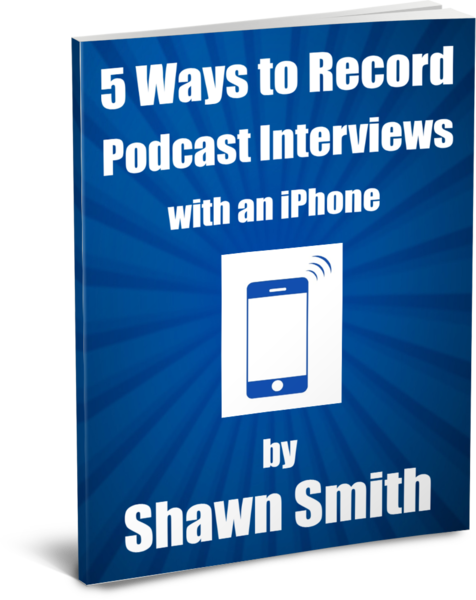 This led to creating my ground-breaking eBook, and video training course, 5 Ways to Record Podcast Interviews with an iPhone. Since then, I’ve recorded over 100 pro-quality, multi-mic podcast interviews on my iPhone at dozens of events and conferences all over the world, and I'm quickly becoming the foremost authority on Mobile Podcasting. My 25 yrs of experience as a professional recording artist, has given me a deep understanding of how to achieve pro-quality audio - both on a computer, and on a mobile device. From mics, to mic techniques, to interfaces, audio recording, editing, leveling, and publishing, I know what it takes to go pro. Because of my extensive background in pro-audio & video, and my degree in teaching, I have a unique ability to take very complex technical knowledge, like audio recording, and break it down into easy, bite-sized pieces so the veteran or newbie can not only understand, but quickly apply this knowledge to achieve pro-quality results. I've spoken at lots of events on the topic of Mobile Podcasting, including at the largest podcasting conference in the world, Podcast Movement. 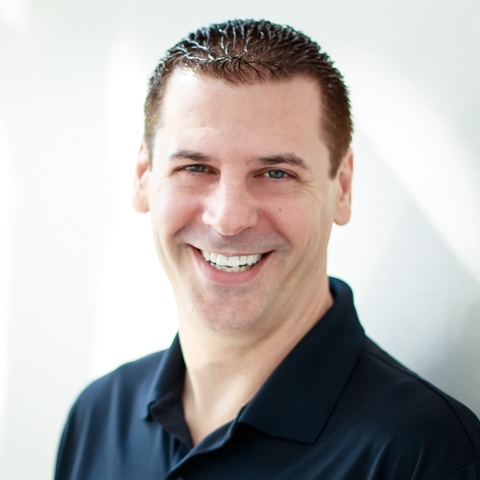 My keynote talks are extremely informative, interactive, inspiring, entertaining, and jam-packed with practical action steps to start producing pro-quality content right away, from anywhere in the world. (You can hear testimonies about my teaching, speaking, and training products here: TheMobilePro.net/testimonials). When not on the road speaking or singing, or in Guatemala prepping and leading mission teams, I live with my lovely wife in South Florida, U.S.A. I am passionate about wanting to help you avoid the potholes, quicksand, and pitfalls that I've fallen pray to on my journey, and to share not only my toolbox of solutions, but also my current journey, mapping my footsteps, as I continue to build my 3 mobile platforms. I have safely led hundreds of volunteers on missions to developing countries. By applying those same principles, I hope to lead you out of the brush, and onto, narrow, but well-worn path to mobile freedom. I hope to be that reassuring voice when you're all turned around, that says, "please turn around when possible", or "re-calculating route". I'm here to guide, provide tools and strategies, and perhaps most importantly, to assure you that you are not alone on this journey, and that it IS possible to build a truly mobile online platform to take you where you want to go. My laptop is filled with a curated collection of the best tools, strategies, and advice of mobile professionals. I invite you to join me on this journey of mobilepreneurship, and never-ending quest to find the shortest, most efficient, and most soulful and life-affirming route between where you are, and where you want to go. So grab your backpack, water bottle, and phone, and let's go! Join me by subscribing to my mailing list on the right side of this page. It's free, and that way you will get my best content delivered to your e-mail inbox each week. 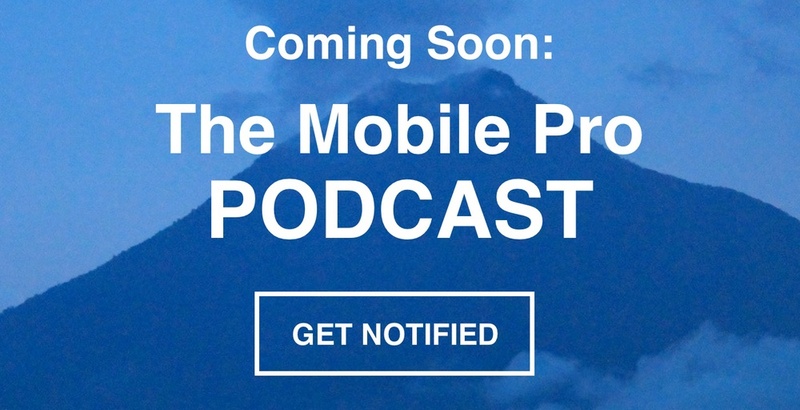 Soon I will be launching The Mobile Pro Podcast, and lots more free online content, so being on the list is the best way to to get the latest updates. As always, I will never give your information to anyone. 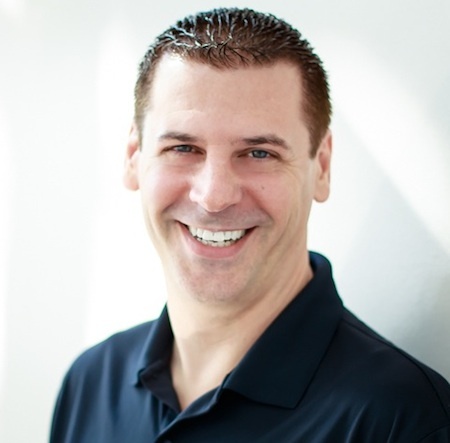 Included in my blog, podcast, video training, and resources lies a virtual backpack full of the best tools, strategies, advice, and encouragement I have ever received in my career as a full-time mobile entrepreneur. I sincerely hope they can help you to take your business to the next level, wherever that may be. Welcome to TheMobilePro.net. So What exactly is a Mobilepreneur, or Mobile Pro? As I define it, anyone who makes their living on the road, or who wants to take their business mobile, and operate as a pro from anywhere in the world: Full-time, part-time, or during work trips, vacations or work-cations. …and anyone else who needs to take their business with them and operate it as a pro on extended vacations, work-cations, or speaking and book tours. Here at TheMobilePro.net you will find clearly mapped-out paths of how to take your mobile platform and business to the next level. You'll soon discover battle-tested tools and strategies of how to get there from the best Mobile Entrepreneurs, Solopreneurs, and successful online Platform Experts on the planet. These are not academic theories or lofty ideas. They are all practical, experienced-based solutions to lead you out of the jungle, and onto the open hard-top. Whether it's building an online platform, mobile podcast rig, mobile video rig, website, blog, social media strategy, passive income products and services, or sharing with you the latest tools, tips, training, and strategies to grow your mobile business, this site is here to serve as a sanctuary and rest stop for road warriors to recharge. I am here to serve as your curator of the best info about mobile entrepreneurship, and to serve as your guide to help you get where you want to go as quickly, and painlessly as possible. Most of all, I'm here to offer you hope. Because hope is the fuel that drives our dreams to success. TheMobilePro.net is about helping mobile entrepreneurs move from surviving, to thriving on the road. It's about helping wantapreneurs to get packed with the right gear, get started, then pointing them to where they want to go with a solid road map in-hand. This site is not bloated with big ideas, but filled with practical tools, and real-world solutions tested by myself, and other mobilepreneurs that I've met on the road, and have grown to trust. So…that's a little about me. Tell me about you! What do you do? Where do you want to go? What walls are holding you back? How can I help you? Actually all of this is really about you. At least that's my goal: To help you get where you want to go with the least amount of pitfalls, and pitstops along the way, so you can have the most time and resources possible to focus on what really matters in life. But to do that, I need to get to know you. To help me, please fill out the few questions below and hit submit. This will help me to find or build solutions to serve your needs better. fyi… by filling out the form below, you will also be signing up for our mailing list, and will receive all of The Mobile Pro updates. And as always, I will never share your information with anyone. So tell me… Seriously, where do you want to go? In a couple sentences tell me who you are, and what you do. What other Mobile Pro solutions would you like to see offered or discussed? Thank you! An email has been sent to your inbox for you to confirm your email address. Please click the link in that email, and we'll send you a link to your free gift! While you're waiting, please check out my NEW Step-By-Step Video Guide, "5 Ways to Record Podcast Interviews with an iPhone"
Also, please be sure to Connect with Me on Twitter. Learn How to Record a Pro-Quality Podcast Interview on Your iPhone - in LESS than 1 HOUR! Tell others about this site and Comment and Share my blog posts. Design a website just like this with Squarespace. No coding, plug-ins, or webmaster needed. Just click, drag, and drop with award-winning support 24/7. Only $8/mo - including a web store. To get a free 14 day trial and 10% off any squarespace plan, click below and use Promo Code: ShawnSmith at checkout. Hello. My Name is Shawn. Some call me, The Mobile Pro. Since 1994 I have flown over 800,000 miles, and managed several successful businesses from a backpack. I hope to show you how to do the same. I'm like a business coach, but different, because I teach you how to run your business from anywhere in the world. Consider me your own personal guide, or GPS (Global Professional Solopreneur). I can't wait to help you find your way to Mobile Freedom! More about me here.